What a nice set of books! Would love to win your giveaway. Lovely selection! Good for the long, cold winters in Wisconsin. I'm in for these lovelies! Classics are wonderful, vintage classics ROCK!!! 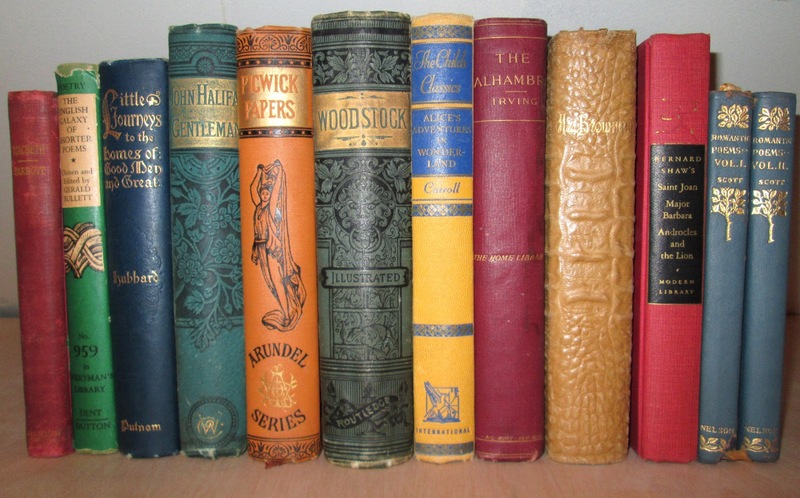 I love the smell and feel of vintage books! Throwing my name in the hat. There is something very special about the feel of a classic book in your hands. These are beautiful. Wonderful collection to own, add me please! Your collection reminds me of the treasures one would find in grandmother's attic or browsing a library's fund raising book sale. Typically to my wife's regret I cannot resist, resulting in books stacked throughout the guest room. These are all beautiful books! Thanks for a chance to win. I have a shelf empty in my new bookcase, too! Will trade nudes for books! Would live to win these! Oh...what delightful treasurehouses these are. Thanks for having this giveaway. I am in for the giveaway...how cannot I, being a diehard bibliophile?